Why does date night have to cost so much? 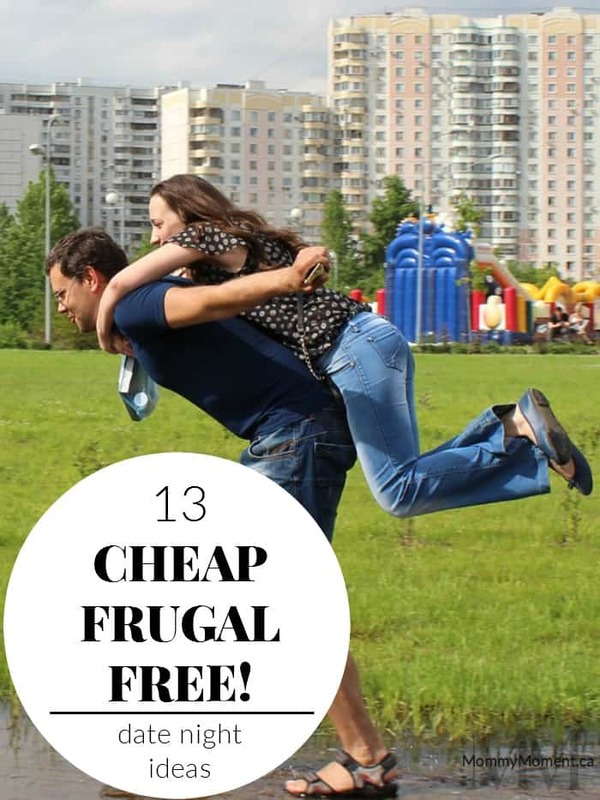 It’s hard to plan special evenings or outings with your significant other when you don’t have the extra cash to dish out – especially if you are paying for a babysitter or are trying to pay off large loans and bills. Are you finding date night to be out of reach financially? Geocaching allows you (or rather forces you) to work together as a couple to find a hidden object. Each of you should pick one of your favorite books (make it fun and find your favorite children’s book!) and read it together. Visit your local thrift store and find a cheap puzzle. Spend some time together putting the pieces together. Walking there and back to the ice cream shop will give you time to talk just enjoy being together. If you are adventurous, find all the little parks in your town and take pictures of you as a couple on every swing or slide. Whether it’s hockey, baseball or football, find out where the minor sports teams are playing and watch a game. Get your picture taken with the mascot! Dream together as you walk through the houses envisioning what you would change and what you would keep. Check your local dollar store for soaps and lotions and pamper yourselves at home. Try this delicious Chocolate Fondue recipe with fruit and cake. Feed each other by candlelight to add a little more romance. Share a bucket of balls and see who can shoot the farthest, straightest etc. For those athletic types, going for a run is a great way to spend some quality time – plus you’re staying healthy! Try going out for a meal on your lunch break while the kids are in school. You won’t need to pay for a sitter and many restaurants have lunch specials you can take advantage of. 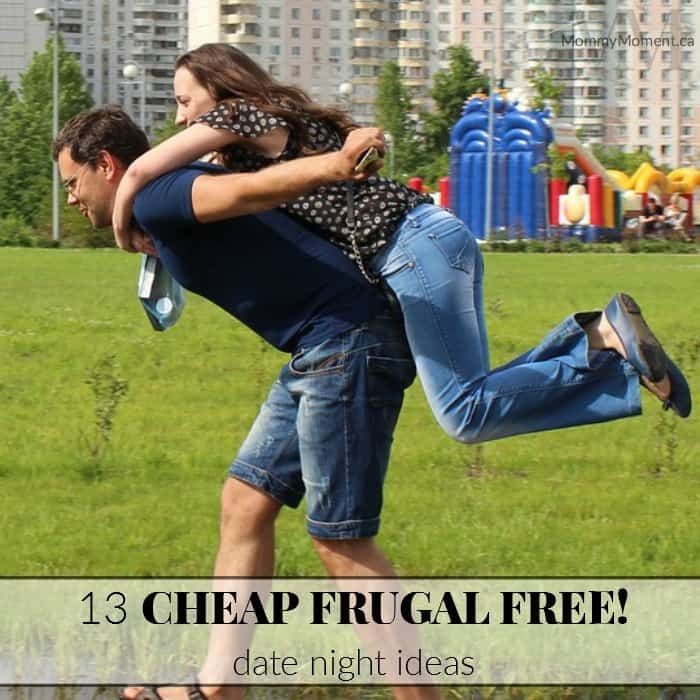 If date night feels out of reach financially, you are NOT alone! Check out this Ratesupermarket survey which shows the top reasons why Canadians cannot afford date night and tips to make date night a reality! 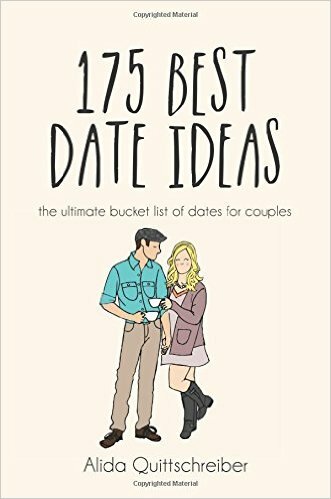 Here’s a great e-book full of 175 BEST DATE IDEAS! Thank you for sharing! I love these date night idea. I especially like the park one! I enjoy going to the park and play (with my granddaughter) I would love it with my husband! I like adventure. well once it gets into the plus temps, we’ll be both outside working on the yard and garden …a time we both look forward to, or in the shop making up some new wood stuff!! in the meantime I think at our age, we spend more time NAPPING together lol (but when the snoring over on the couch gets too loud I leave for the computer room !!! Oh Angie, this makes me smile, it is so great when you get to the stage in life where you can just enjoy the little things!